Join my Live tonight as I discuss why it does NOT have to take 5, 6, 7 months for you to start getting results in your coaching business. Join my Live tonight as I discuss why it does NOT have to take 5, 6, 7 months for you to start getting results in your coaching business. Some of you coaches might UNFRIEND me after this! Share the broadcast. Join my FB group, Highly Successful Christian Female Coaches & Consultants. I have 2 more Classes to push!! You got to do the work! I am a preacher, so content writing was secondary, I minister from the good Book! First time selling at that price! 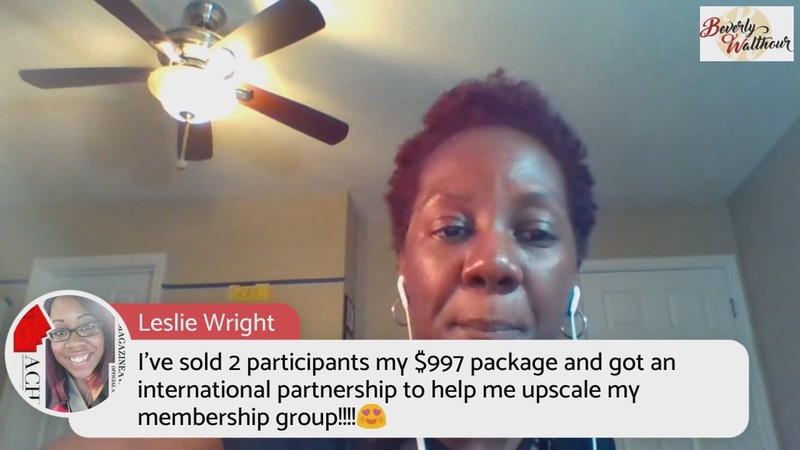 I came in the 5k Workshop late and got 2 clients in my first FB Live! Those 2 were for your $997 program right? I like Organic Posting the best! Each person learns in different stages! Thank you for catching the replay Saba Kidane! You’re a bit fast to follow up ? Hi there! Can’t wait to hear your share your content teaching, I saw your one video about your upcoming content . Saba Kidane I truly appreciate you watching my video. Did anything resonate with you? Yes. Strategy is key and having marketable products. Both I have now. You gave me the resources and tools and I sat on them because I was not truly ready mentally. Mindset is key. Confidence. Clarity and a clearly defined Avatar. I’m clear now. ?? I put the cart before the horse and lost some time. But I’m on track now. It is levels and steps to this, but no it should not take 6-9 months. Phoenixx Love yayyyyy! Doesn’t it feel good to be on track ?? Amen! The lender not the borrower ??? Beverly Walthour Thank you, this is amazingly scary. Hard to explain. love what you do?? I haven’t stopped crying! So now I can invest in more marketing and invest more. She helps us build better so we attract better people!!!! No fear tonight sign up. And I didn’t even share this with Bev! Because of my obedience I got a $4k blessing confirmed yesterday. This new partnership wouldn’t have found me at $20!!! Do your life a favor and join us. No more fear to let my membership go where I was charging $20/mo. Now we are going up to $97/mo with a partner that has an international group already waiting on me!!!! Changing my prices to reflect my results and education I bring. Come on in!!! You make the money back if you do the work! I’ve sold 2 participants my $997 package and got an international partnership to help me upscale my membership group!!!!? You KNOW I’m staying in!!! Waiting for the audience challenge! She’s doing more challenges too!!!?? Each day it get easier to see the vision and the group get more powerful. I’m going to be hopping in your inbox soon!! Yes!!! More than what we are looking for!!! Yes indeed! Early bird-er here!! I’m sooo comfortable with the price ive set for my intensive! I’m very confident of results!! I just got home an hour ago! Hahaha! These ladies do NOT play! You have questions? We got answers OR know how to find them! Nope! No half steppin’! So exciting that sleep was in the way! ? $397 Because God Said so… ?